Poets... poets who happen to compose tiny symphonies also. This is a true story: last Monday I was walking to my car at the Esalen Institute when I passed the guardhouse and swore I recognized the music as Van Morrison, something written after "Madame George" but before "In the Garden." I turned around and asked the sentry who was playing. He picked up his iPod and read, "Chris Brown... Burden of Belief... Superior." I scribbled it down, got in my car, and drove five hours home. When I got home I immediately googled his name, watched his TED talk, then listened to all of his music available online. it's the only way out." Having poor boundaries, I decided to write Chris an email explaining that I had heard his song "Superior" at Esalen earlier that day and was transfixed by it, would love to hear more about what he is doing and possibly write something about his beautiful music. Being a gentleman and a fellow citoyen du monde as well as a poet, Chris wrote back, "Ira- what an absolutely lovely note to get, and the timing is great as I am working on a new double album as well as my prison project and a number of other productions. So happy it happened at Esalen." Chris sent me a few of his solo CDs as well as his work with Kate Fenner and in particular I was blown away by Oblivion, Snow and Whoever Built This Would Never Live Here from "Other People's Heavens," Drive While You Sleep and The Lesser Amount from "Geronimo," and Failed and Exquisite Corpse from "O Witness." Chris has been writing songs since he was a child. While still in high school he began earning his living as a musician with The Bourbon Tabernacle Choir. 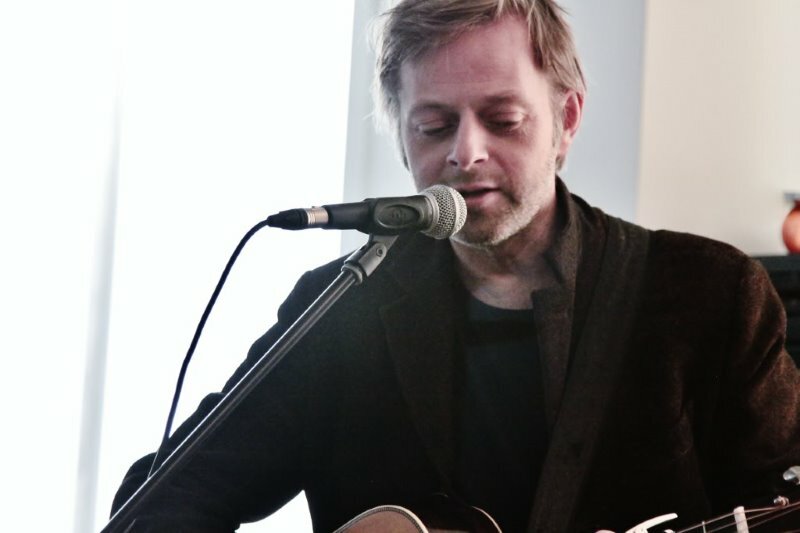 His considerable discography includes CDs and tours with Kate Fenner, The Openhearted Society, The Citizens' Band, DJ Logic, The Tragically Hip, Joan As Police Woman, as well as his solo work. His recent productions for David Corley and Suzanne Jarvie have garnered much critical attention; currently Chris is in studio finishing his own double album entitled "Pacem" due out later this year. In addition to being an accomplished musician, what drew me to Chris was his social activism. Most recently, Chris founded the Pros and Cons Music Mentoring Program at Pittsburgh Institution in Kingston, Ontario, where Chris continues to run music workshops. These workshops led to Chris to produce and record - what Exclaim! Magazine calls an "inescapably honest and sincere" recording - with some prisoners entitled Postcards from the County. Chris' ongoing work with inmates has been lauded throughout North America and his program was recently honored with a generous grant from the David Rockefeller Fund to help expand it to other correctional facilities. Having spent the last week digesting Chris' oeuvre not only would I include him in the pantheon of aforementioned great poets, but I have also invited him to perform at Esalen as a part of my workshop next February. My only wish is that the same sentry at the Esalen guardhouse is still there in February so that we can thank him for introducing us!